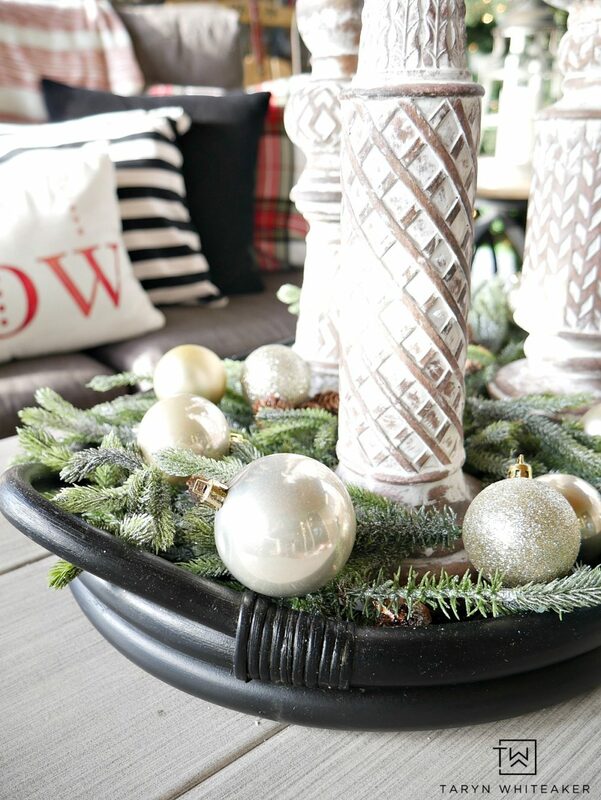 Ready for another Christmas room reveal? I’m taking you outside today to my favorite room of the house! 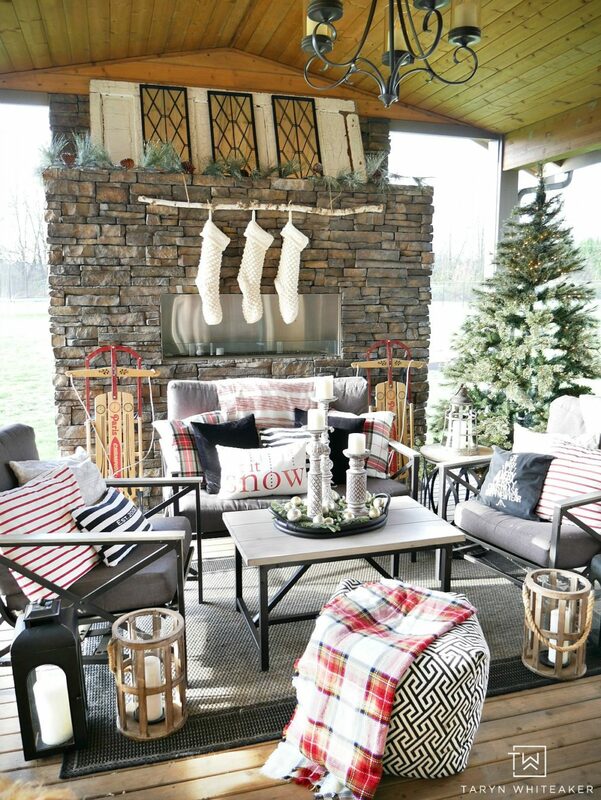 Our covered outdoor porch with it’s own fireplace sits right off our kitchen/dining area. 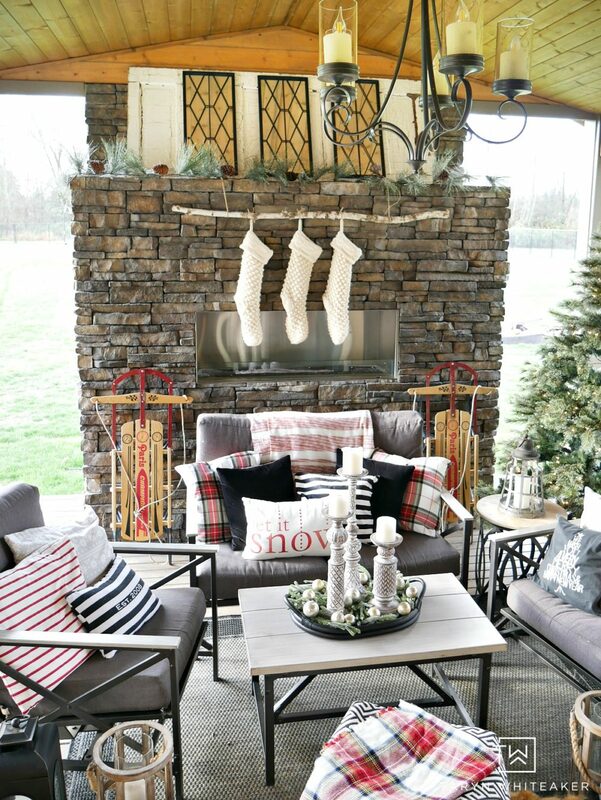 I love decorating it for the different seasons. 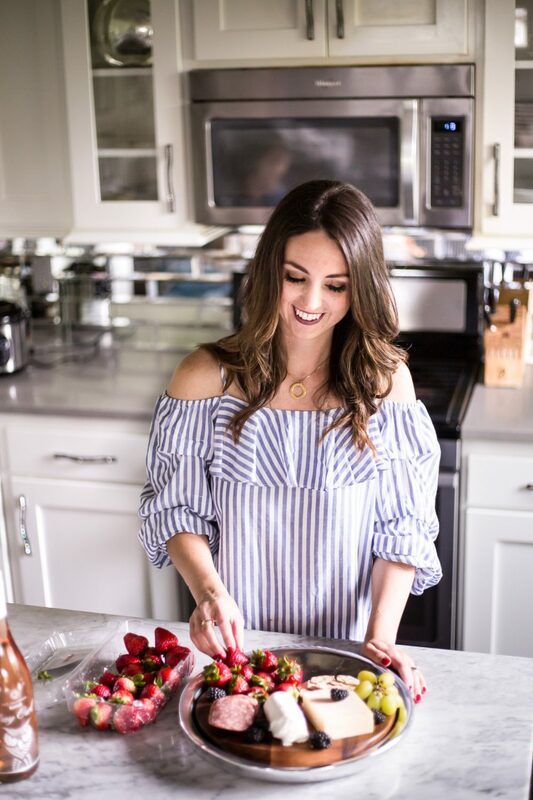 It’s a place where I can play around a little and make it something different than the rest of the house. It’s always changing out here, from kids throwing pillows off, muddy boots on the rug, sippy cups on the table and lots of popsicle sticks in the summer! No matter how big the mess, it just makes me so happy to see everyone out enjoying this space. 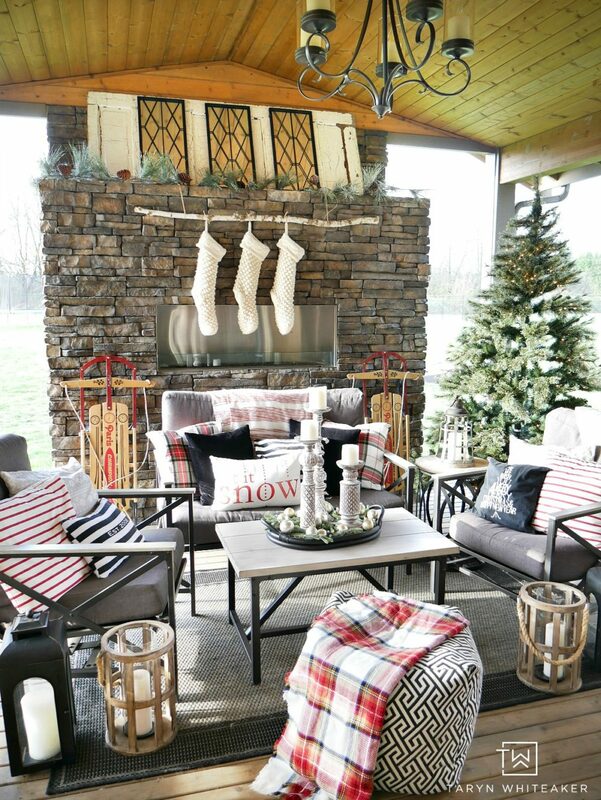 So come see our Outdoor Living Space at Christmas ! 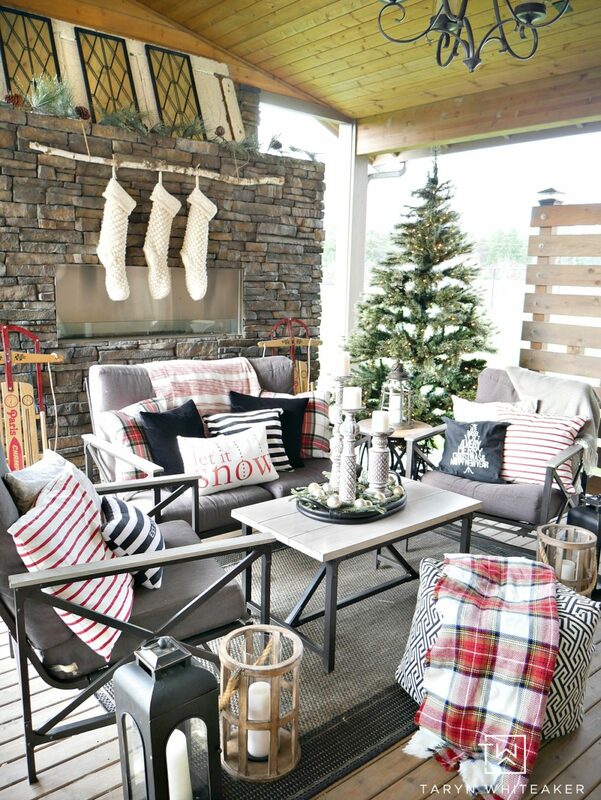 It’s feeling oh so cozy with it’s own Christmas tree, stockings and lots of plaid! I reused a lot of the same decor as last year. The vaulted planked ceiling and stone fireplace always make it feel a little woodsy/cabin like out here, so I took that idea and ran with it. 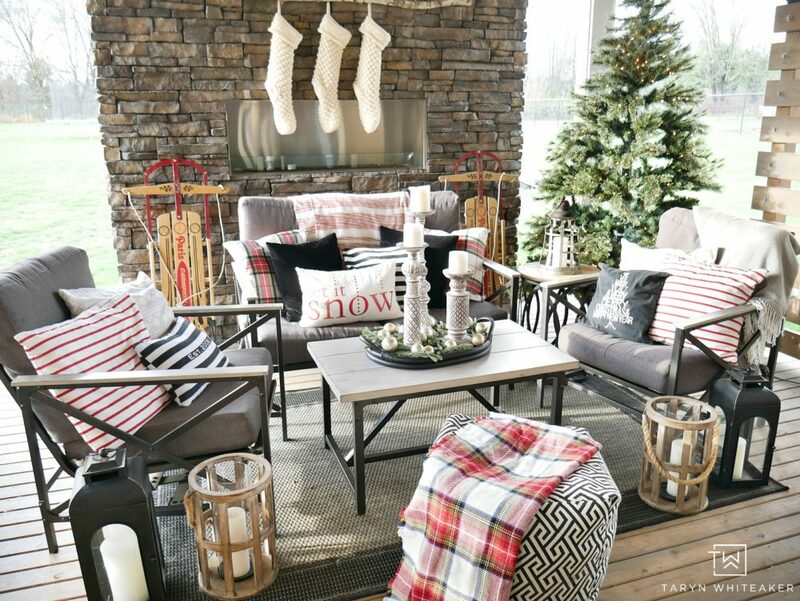 This space has a little more of a woodsy Christmas look than the rest of the house, and the pops of red and plaid really bring it to a different level. I love seeing the bright cheery space. The sleds are a special piece of decor each year. These sleds belonged to my two brothers’ growing up. It’s always fun to bring them out every year and I will continue to use them until they ask for them back :) Last year was the first year I placed a Christmas tree out here, and I hope that never changes. I can see the sparkling tree from inside and it brings such a magical feeling out here. 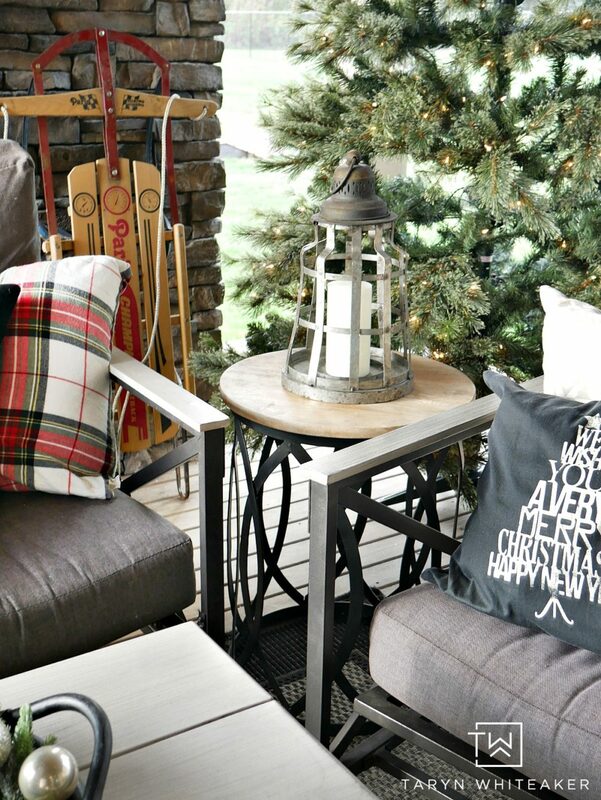 While I do love everything about our outdoor living space, we’ve actually been chatting a bunch recently about updating our furniture out here for spring. We’ve had this set for about 5 years now and the cushions are getting a little worn. 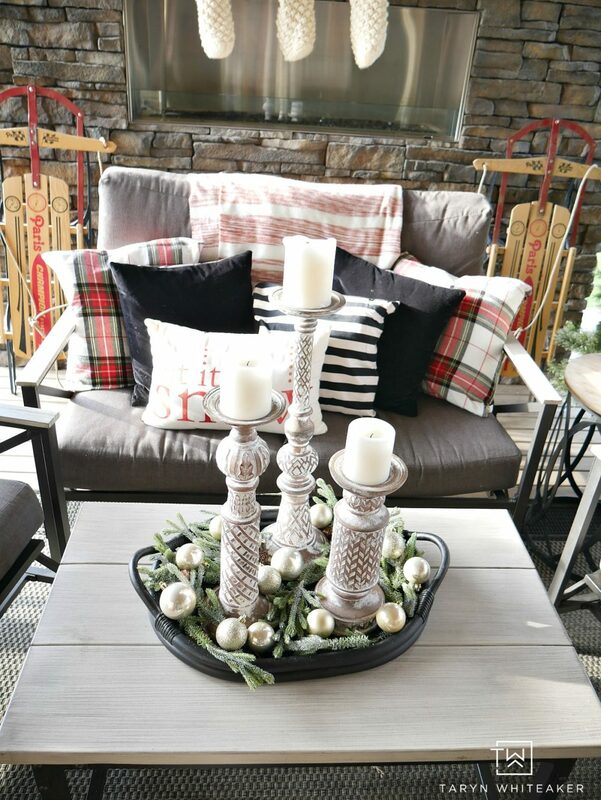 We are thinking about putting in a wicker sectional with uphostered fabric, maybe even a circular one but we shall see! Ok I digress, we still have several months before this happens, but I gave you a little peek into one of my next projects! These candle sticks were a fun find at Michaels this summer. I think they are one of my favorite pieces I own right now. I love the details and how different they all are. I haven’t taken them down and I’m not planning to anytime soon! Unfortunately I don’t have all of the sources for this space available online, but I have most! 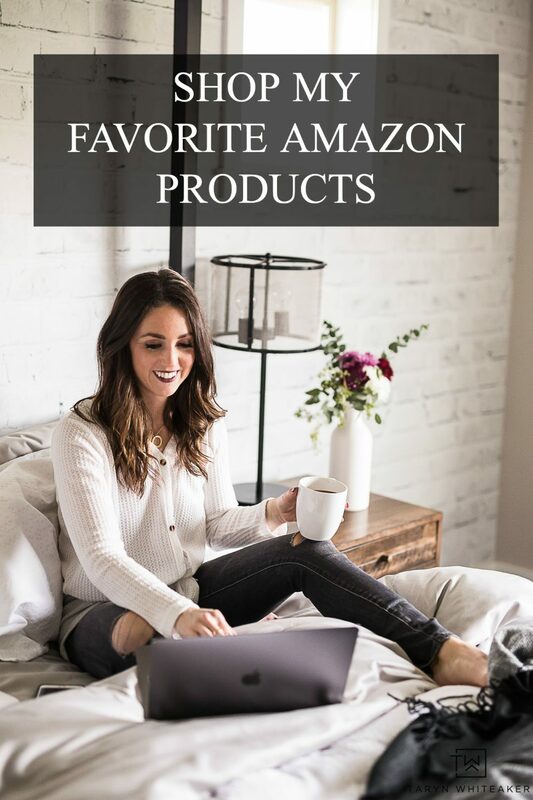 If you see something you like, be sure to shop this post using the links below!